Community Boating is excited to announce a new stand up paddleboard (SUP) pilot program this summer. Starting next week, adults can register for a SUP class to learn the basics, and then will be able to use the boards on their own. A 1.5 hour long class will be held each day next week from 9 – 10:30. Registration for these classes will begin at 9am on Thursday morning. There will be more classes throughout the summer! p.s. Win Elta UV Pure sunscreen from Krauss Dermatology. p.p.s. 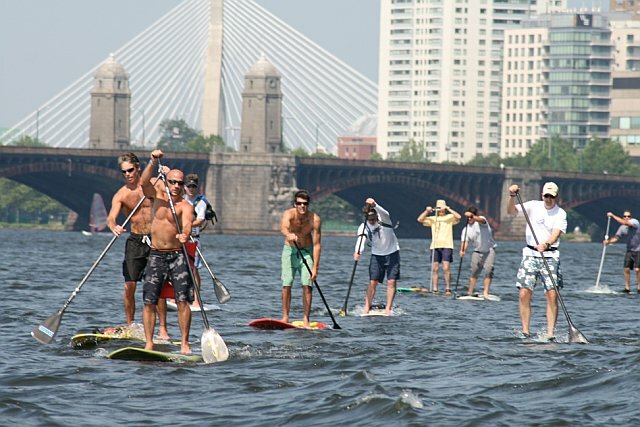 There is also Stand Up Paddleboard (SUP) for KIDS at Charles River Canoe and Kayak near the Newton Marriot.